Water treatment for commercial kitchens falls into three basic water treatment categories: steam equipment, drink equipment and dishmachines. Each of these suffer from their own water-related problems, which should be treated differently for the best results. Scale formation is the primary problem in steam-related kitchen equipment, like kitchen steamers and combi-ovens. Because this equipment produces steam, it is extremely scale prone. Scaling issues, as well as a good-tasting end product are the main problems plaguing ice machines, coffee makers, tea makers, etc. Depending on water quality, these pieces of equipment can be an almost constant source of maintenance problems. The perfect water to send to steam-related equipment is RO water. 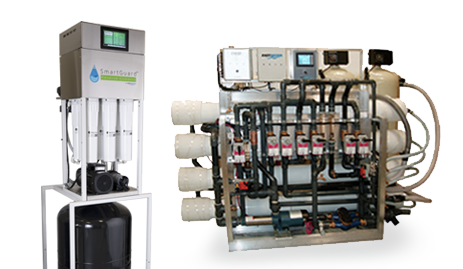 Not only will it keep equipment from developing mineral scale deposits, remineralized RO water is also perfect for ice machines and drink equipment due to its great taste. SmartGuard RO is the only solution you will need for both your steam and ice and drink equipment.. The main problem with dishmachines is scaling in the machine and spotting on the glasses and dishware caused by minerals in the water. Cleaning the scale build-up from dishmachines is time-consuming and tedious, as is individually wiping the spots from glasses and dishware. A water softener is the least expensive and most effective solution for these dishmachine problems. 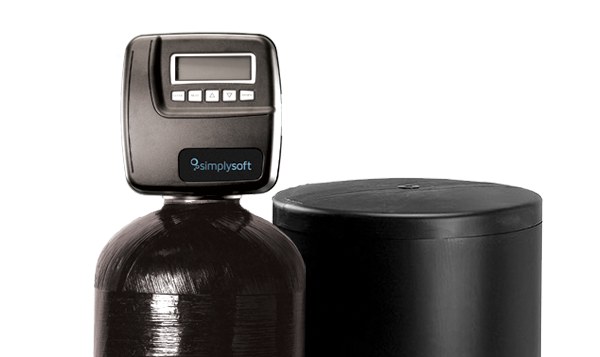 If the kitchen has its own water heater, the EasyWater SimplySoft System can soften the water to the kitchen water heater, which typically provides 140° water to the booster heater of the dishmachine. If the kitchen does not have its own water heater, a hot water SimplySoft System can soften the hot water prior to entering the booster heater of the dishmachine. In either case, this soft water will significantly reduce the scale formation and spotting problem in your dishmachine. Find out more about our water treatment solution for commercial kitchen equipment by contacting us today at 1-888-766-7258, or by filling out our free estimate form below.